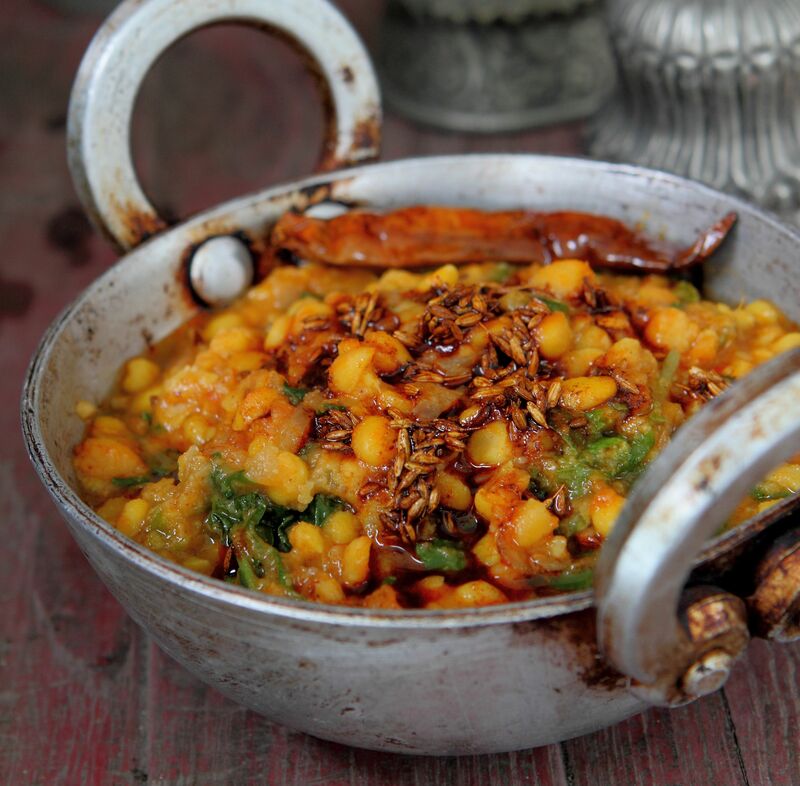 This creamy Dal Palak is a lentil stew that perfectly compliments Indian or middle-eastern rice dishes. This recipe was first published in Flavours magazine. Wash and soak lentils for 30 minutes. Drain and cook in a pot of water with turmeric and salt, until soft. Add spinach. Cook for 2 minutes more, adding hot water if required. In a pan, heat oil. Add cumin seeds, onions and garlic to hot oil in a pan and saute until golden brown. Add tomatoes, chilli powder and cook for 2 minutes. Mix this with cooked lentils mixture. Add lemon juice, garam masala and serve.